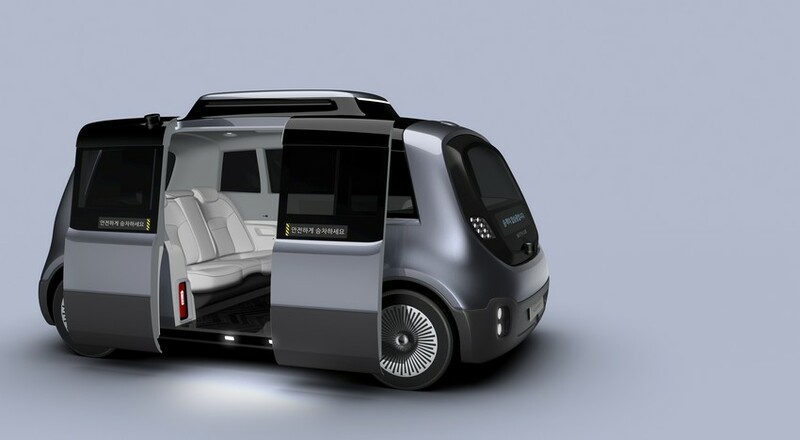 south korean company, KLIO design, has created the WITH:US self driving shuttle concept. 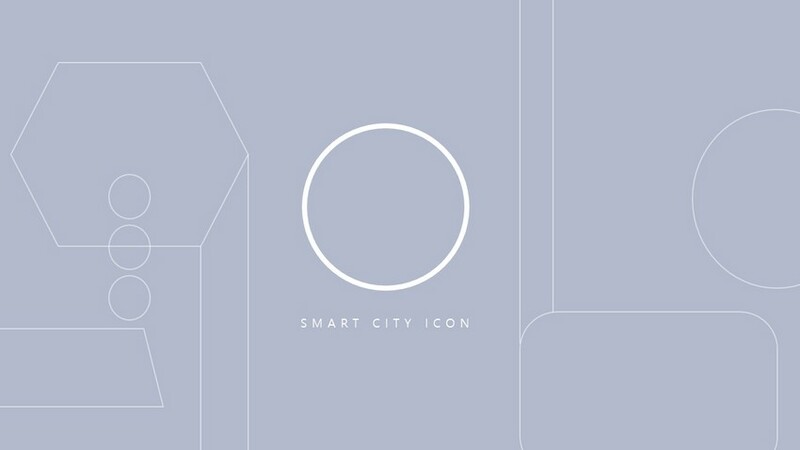 embodying three basic principles of simplicity, habitability and expandability, the project is proposed as an icon of future smart cities. 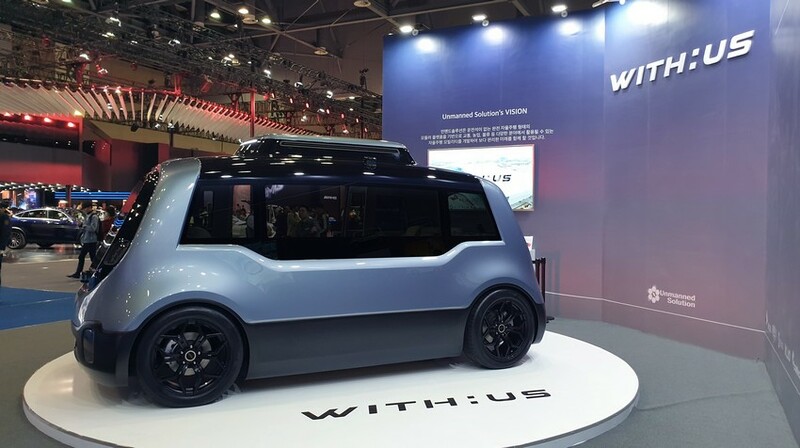 unveiled for the first time at the 2019 seoul motor show, the design envisions a public transportation system that cares about the environment and people of all ages. 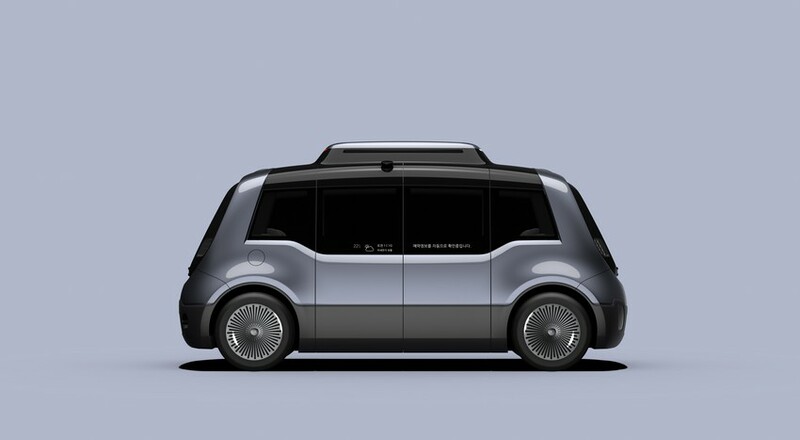 rather that forming the shuttle concept with an eye-catching design, KLIO has refrained from unnecessary styling and sought simplicity instead. 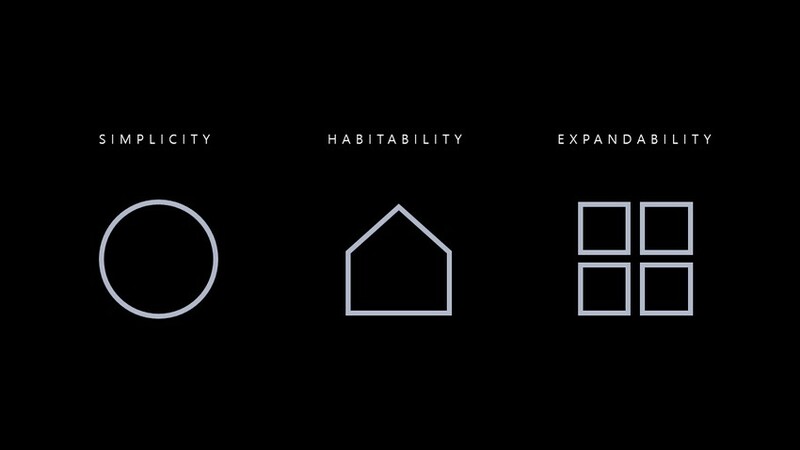 in addition to simplicity, the form also exhibits habitability. 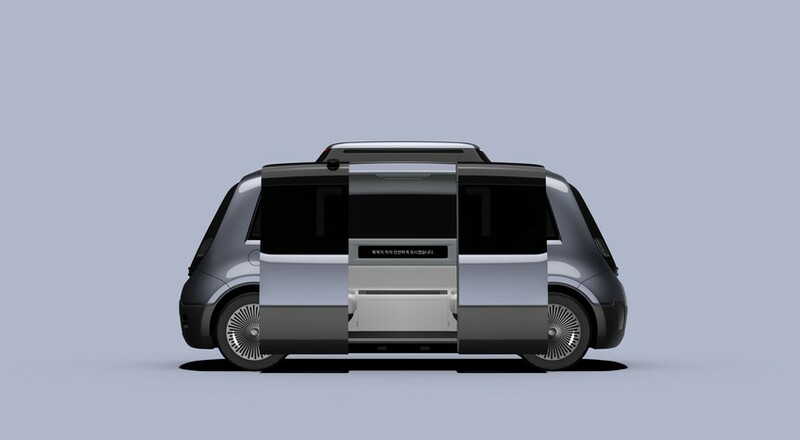 the full self-driving shuttle has no driver’s seat and the interior space has been designed as a living room – conceived as building a house on an electric platform. 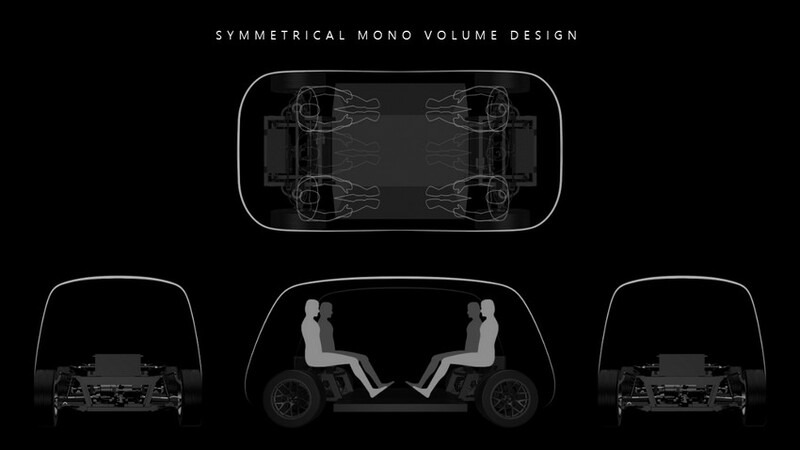 in particular, the front-to-back, left-to-right symmetrical mono volume design provides equal comfort for all passengers. 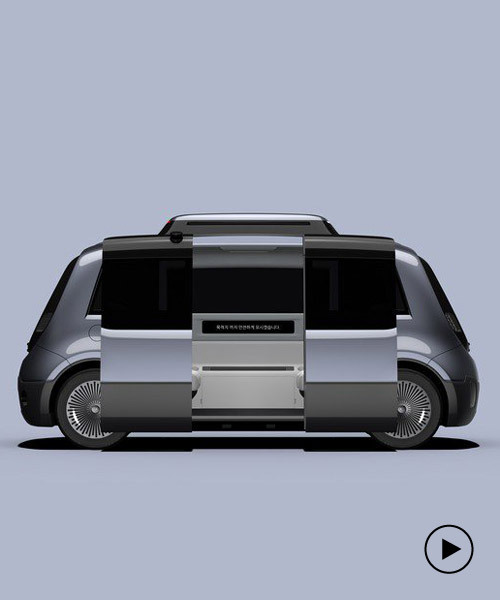 encompassing the idea of expandability, the self-driving shuttle is no longer seen as just a car, but also a system of moving logistics, resources and services and connecting human life. 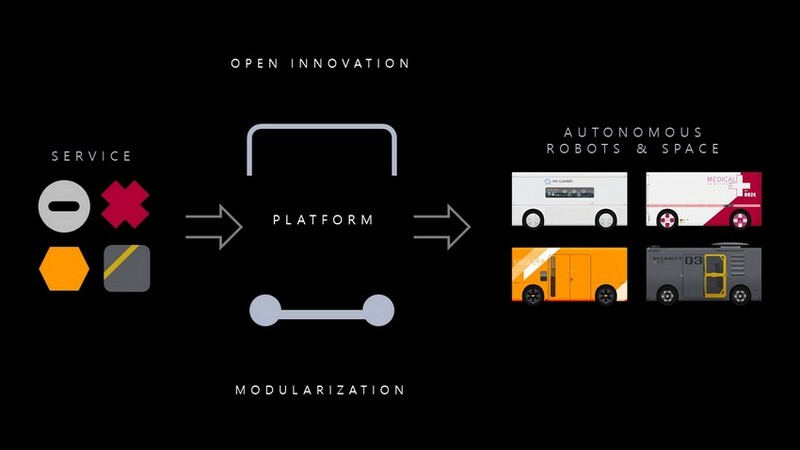 the WITH:US shuttle proposes to be a business platform that can accommodate a wide variety of services and can be customized to provide active access to the diverse needs of the future society. 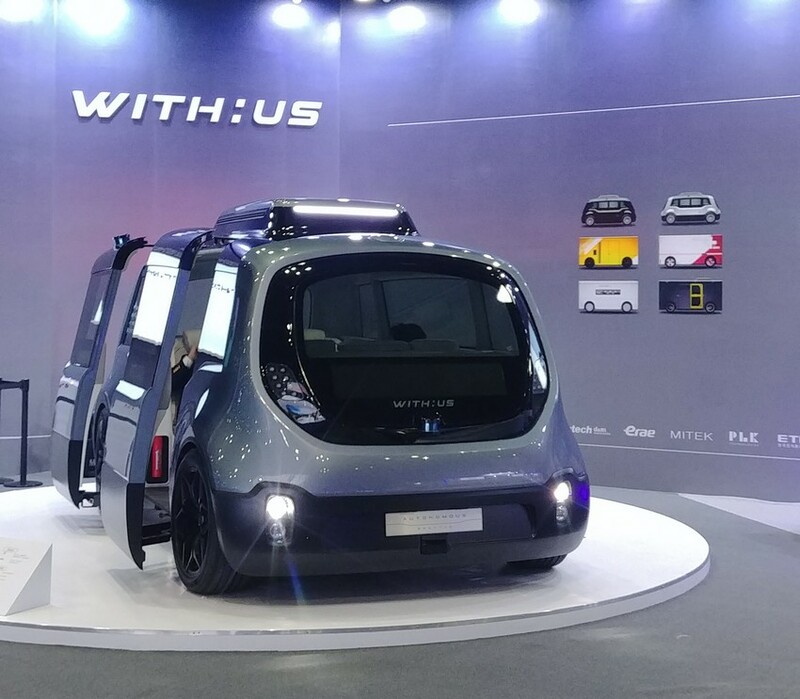 WITH:US literally means a shuttle with us all the time, and can be produced together by 15 domestic companies in korea (made with us), many people can ride together through public transportation (ride with us), and all passengers aboard can enjoy artificial intelligence-based content (play with us). 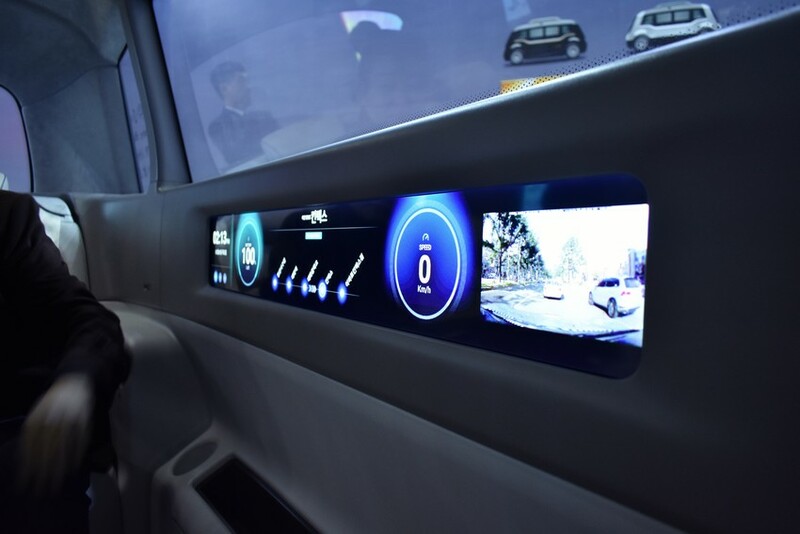 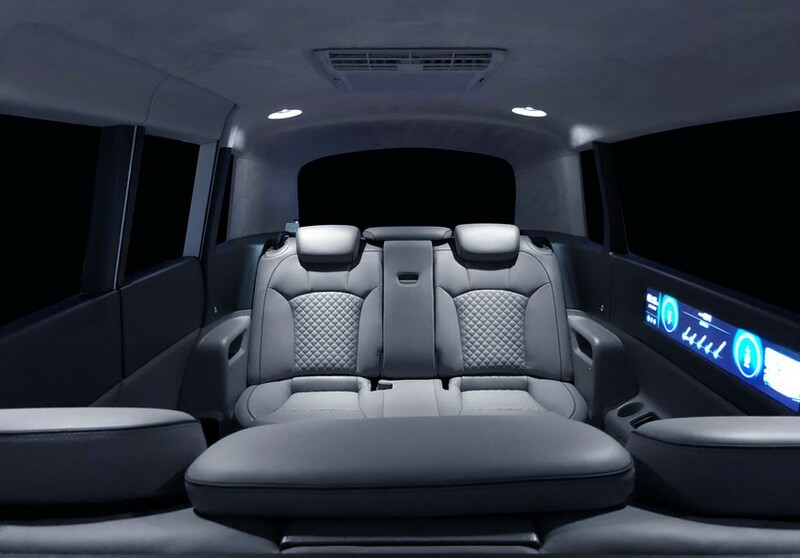 the concept has been developed with unmanned solution inc., which is a self-driving solution company that was founded in 2008. in essence, WITH:US has been unveiled as meaningful concept of mobility that can be enjoyed together.